Alan McQueen is an agent with the Austalian Secret Intelligence Service (ASIS). As the series opens, McQueen is in his late 30's and has been an operative for ASIS for 17 years. Prior to joining the department, he had attended university in Queensland, getting an MA in history. When he was approached to work in the intelligence field, he fondly remembers, he had visions of trading information over drinks in a swanky bar before heading out for an evening with a beautiful woman. Reality was a bit different. Being an excellent athlete, including participating in collegic sports such as rugby, he was deemed a prime candidate for the rugged para-military branch of the bureau. He was one of the last agents from his country to be sent to Great Britain to take part in the strenuous Special Boat Service training and one of the very few to actually complete it.. After that, came his many years of work in the covert field often working with Australia's own SAS wearing camoflage gear instead of tuxedos and drinking stale water from canteens rather than sipping martinis. After so many years of often unpleasant missions nearly getting his head cut off or shot off or blown off, he had decided he had enough and arrived at an understading with the head of the agency. He was retiring to take a teaching job at a university. He had met and fallen in love with a young woman with whom he planned to start a new life. Then ASIS gets a new head and that man decides that an agent never really retires and McQueen is virtually kidnapped back into action. He is not happy being back on duty but that does not stop him from being the same excellent operative he had always been, just a lot grumpier. McQueen thought he had killed Abu Sabaya, infamous international terrorist, years ago but the man is back, plotting a horrific crime with a rogue CIA agent unless McQueen can kill him again. He had been sent to Bali in the fall of 2002 to investigate the murder of over 200 people, many Australian, in a nightclub. He nearly caught the ones responsible. Now Five years later, he has a second chance. The location is East Timor and the occasion is an independence movement on that island nation. McQueen discovers a plot to destroy that movement through the deaths of scores of innocents. 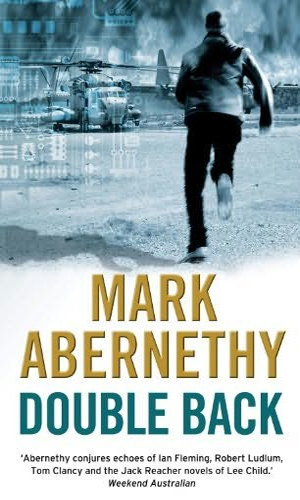 He had hoped to be spending his days behind a desk and out of the action but Alan McQueen is talked into heading to Singapore to watch over a secret mission. When it goes bad quickly, he is left to defend himself and eventually get to the truth behind what went wrong and who is the person intending to take over the Chinese government and lay waste to millions. It is not often you get in a modern spy novel that which wonderfully feels like a return to spies of the Cold War, going it alone in dark alleys and smokey rooms, never knowing if the indigenous person you have dealt with for years is still your ally or just waiting the chance to betray you. That is the great atmosphere that these books have and I for one love them. I was a bit put off when the main character seemed to meekly succomb to the extortion that brought him back into the Service but, hey, the writer did not give me much of a chance to ponder it before I was silently growling a warning to the man to not trust so-and-so and to watch his back. McQueen did not need my advice but I could not help giving it anyways. You will likely feel the same way. Read these books. They are very good. Alan McQueen, or Macca, as his Australian colleauges call him, is a hoot. He's not slick or suave, but he's got a roguish quality and that good natured Aussie front that puts people at ease. While he's no slump in a fight, he doesn't go around taking gaurds out with a single well placed "judo chop". Mac isn't afraid to let his fears be known, but he'll still charge in when others might hesitate. He does skirt the hero bit once and soon regrets it in "Double Back". As background goes Abernethy does a fabulous job of letting you feel the settings, most of them tropical. The machinations of politicians seem to know no national boundary and the Aussie pols are every bit as devious and backbiting as their British or American counterparts which pits Mac against them on more than one occasion. 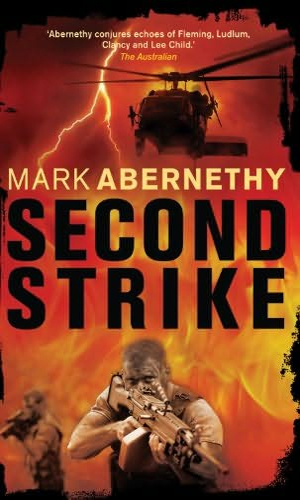 It's worth noting that the story in Double Back occurs before Second Strike, so you might be served best by reading that novel first. I did completely by accident and noted the flow from one to the other. I wasn't left scratching my head as characters appeared who made Mac nervous. 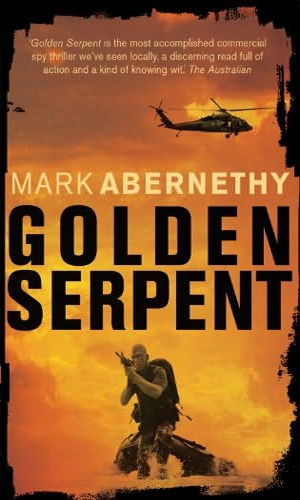 I haven't read all the books yets, I've got one left to go but unless Abernethy completely disappoints me I have to give this series an A. It's well plotted, has a few turns that surprised even an old thriller hack like me and the Australian view is refreshing after all the years of Brits and Yanks fighting the cold hearted Russians. 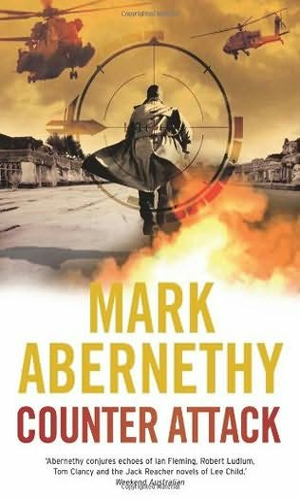 Pick up one of Abernethy's books and you won't be dissapointed.